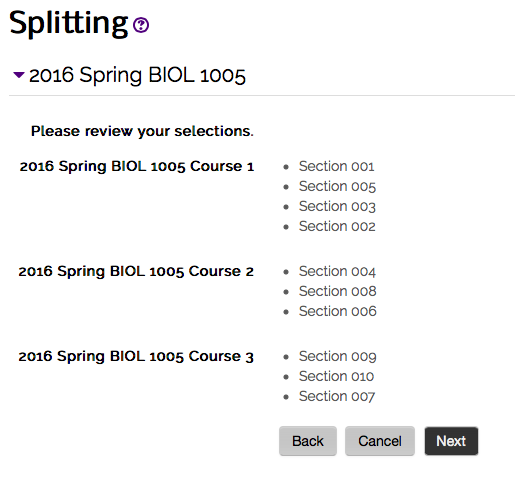 Course Splitting allows an instructor to separate multiple sections of a course into different Moodle courses. Each section can be its own Moodle course, or groups of sections can be combined into courses together. NOTE: It is recommended that you split your course before importing materials or making any changes in the course. 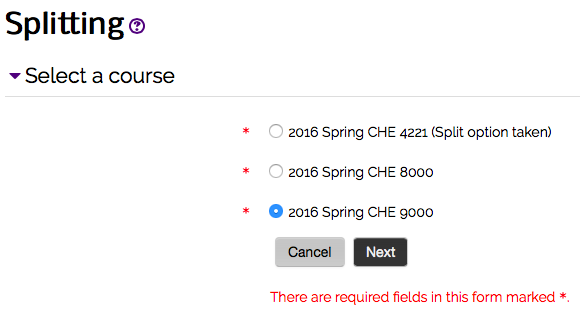 When the course gets split the instructor and students are removed from the original course and individual courses that are created will be empty. 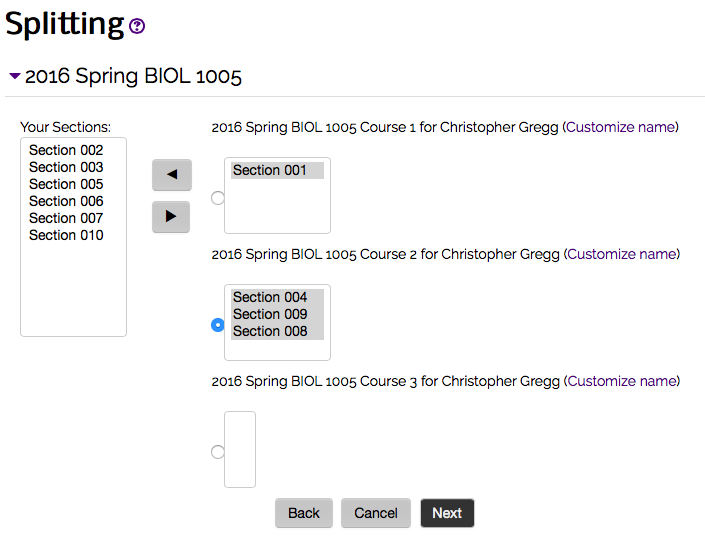 Once you split your course, you can then import or add any content to the individual courses. It is also recommended that you back up your course before attempting to split it. To learn how to backup your course, please see Moodle 3: Blocks: Backup a Course. 2. 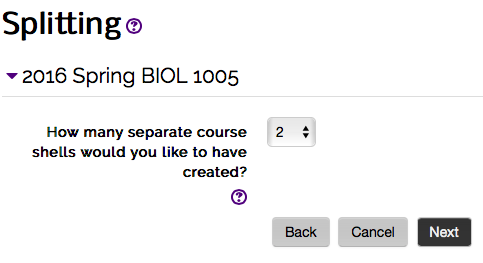 Click on the Course Splitting link, located in the Course Preferences System block on the Home level of Moodle. 3. Select the radial button next to the course you want to split and click Next. 4. 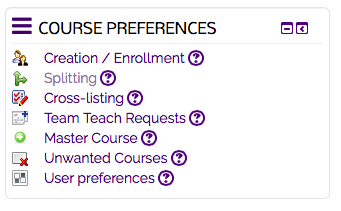 Select the Number of separate course shells you want to create and click Next. If you only have 2 sections of the course, your only option will be 2 and the course splitting process will initiate upon clicking Next. Click the radial button next to a course shell on the right and then select the sections from the left that you want to move into that course shell. If you hold the Shift key, you can select more than one section at a time. Click the right arrow key to move the courses into the selected shell. 5. Move the remaining sections into the appropriate course shells. Click the Next button when done. 6. The confirmation page will show the courses to be created and the sections they will contain. Click the Next button if all is correct. Note: While the new Moodle Course(s) will be created immediately, the students will be enrolled into the courses overnight.